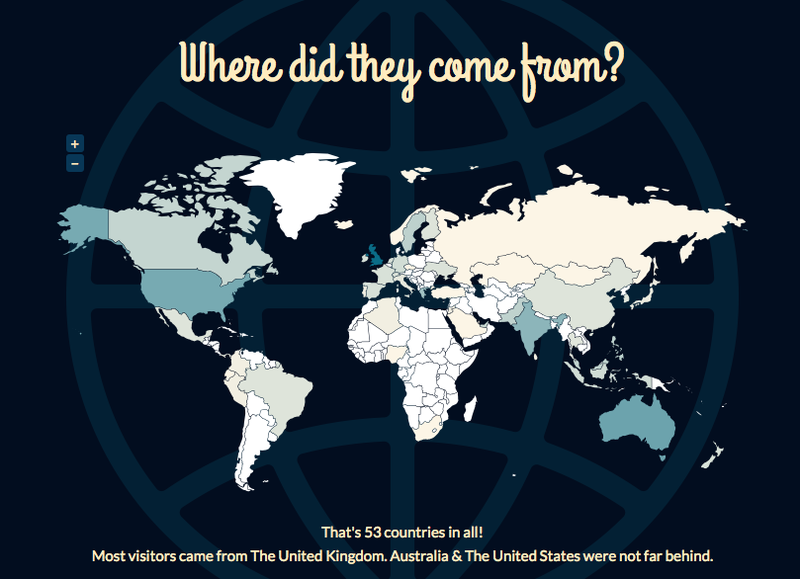 It’s quite exciting as a teacher sharing ideas online to see a visual presentation of where in the world your readers are coming from. 53 Countries! That’s rather impressive, especially when I think back to starting blogging in 2009 with just an idea that it’d be useful for myself to reflect on my practice in this way. Since then I’ve discovered my reflections, and now the sharing of other ideas and resources is of interest and use to a great many people. It’s rather inspiring. 5 years on and I still blog, and so do my students & SO many other teachers, and now we micro-blog (twitter) and we pin ideas (Pinterest) and we v-log (YouTube) the list is endless! Sharing good ideas has gone global, is it helping? Does this mean standards are being raised because we’re all using innovative ideas? Does it mean a select few (in relative terms) of e-savi teachers have students whom benefit from these resources/ideas? What I hope doesn’t happen: Teachers keep their sources secret and instead bask in the glow of being innovative and inspirational within their relatively small pond. I encourage the sharing option! I know that’s the route I take, I spend much of my time sharing links, emails and videos I’ve found, that way everyone raises their game and the students win! Find the ideas, and share them using what ever method you have at your disposal! By sharing we all win ! For some sharing ideas click here.